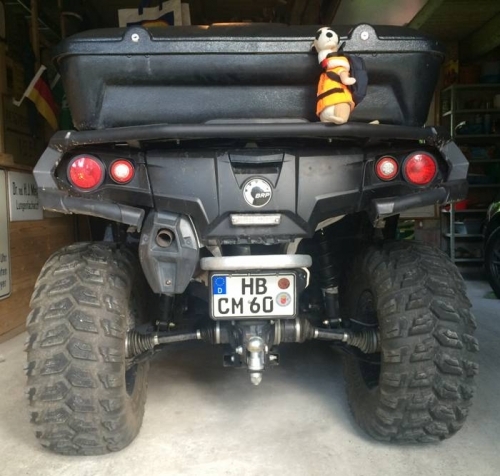 My Name is Claus and I work as the director operations at DS-Mineralöl GmbH in the Hanseatic City of Bremen. On 8th August Karolina of the YACHT magazine visited me at home and has handed Fred over to me. 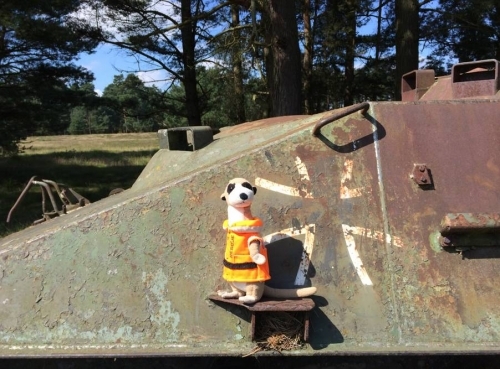 Fred's Outfit was exactly as described on his Homepage, except a small, black Eastpak-rucksack, which had been given to him by the team of Die YACHT. Fred's Rucksack now contains his internship certificate, issued by Die YACHT. At the moment Fred is with me in my office at Bremen-Holzhafen. Despite that name this port from time to time is visited by quite large tankships. 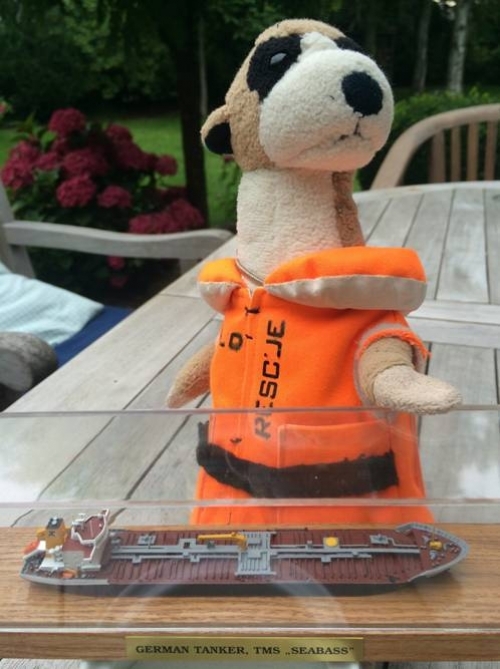 Tommorrow, Tuesday, 11th August the 32.000 tons tanker SEABASS will come to Bremen-Holzhafen for discharge of thousands of tons of Diesel and everything has been arranged that Fred will become part of the crew of the SEABASS. and showed him all my books, especially those about ships and sailing. Finally he had coffee and some cake and told us a lot about his recent adventures. 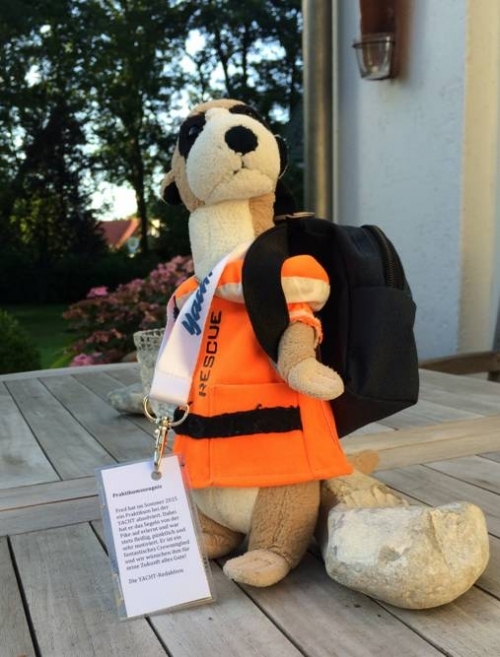 The next day, Monday 10th August, 2015 Fred will spend at the Office of DS-Mineralöl GmbH, just waiting one day until his next journey on a ship shall start.